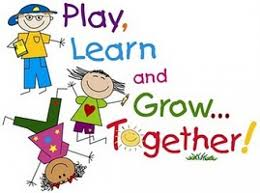 Harris Family DayCare is a place for children to grow and learn in the way children grow and learn best, through play. Children are provided opportunities to construct their own knowledge. We believe that children learn through a constructive process. This is a dynamic interaction of children"s current knowledge and their own efforts and initiative. They constantly test their knowledge with real experiences and adjust their thinking based on the results of that testing. Play provides children the wealth of new experiences needed to test their existing knowledge and construct a deeper understanding of the world. Please check out our website and contact us so we can answer any questions you may have or schedule a visit.